John W. Campbell (1910-1971) stopped writing fiction at a very young age at the end of the 1930s but went on to become even better known as an editor. The five stories (or novelettes as they’d probably be referred to today) demonstrate Campbell’s boldness and his taste for epic themes. Out of Night and The Cloak of Aesir deal with the four thousand year history of Earth’s colonisation and conquest by an alien race, the Sarn. The leader of the Sarn, the Sarn Mother, is immortal and ageless. She was old when her people conquered Earth but four thousand years later her authority remains unquestioned. Unquestioned at least until she does something almost unprecedented - she makes a mistake. The Sarn are a matriarchy and the Sarn Mother unwisely decides to impose a matriarchy on her human subjects. This finally drives them to revolt. The odds are heavily stacked against the humans, given that humans have no access to weapons. Humans do however display a great deal of ingenuity in overcoming such obstacles. The Sarn have great intellectual gifts but they are a very long-lived race. The Sarn Mother will come to realise that this in itself gives the humans an advantage - short-lived species evolve very much faster and adapt more readily to changes in circumstances. The other interesting feature of these two stories is that the secret weapon discovered by the humans is the ultimate nothingness. The great human scientist Ware has discovered a means to harness negative energy, and to produce a device that can in effect negate absolutely any positive energy. The issue of the revolt remains in doubt until the humans discover that other kinds of negative energy can be even more devastating. Double Minds deals with a race whose scientists have discovered that only half the brain is ever in use. Finding a way to utilise both halves of the brain should make them twice as intelligent. And it does, in a way, but with some unexpected costs. The most ambitious of the five stories is Forgetfulness, a story that spans millions of years. A relatively young race has finally managed to build a ship capable of reaching a nearby star system. This star system has habitable planets but most excitingly one of the planets contains the remnants of a very old civilisation indeed. This ancient civilisation built huge cities with power sources that were almost unlimited and had achieved even more - they had discovered a means of transmitting power instantaneously to any point in the galaxy. This planer is still inhabited by the descendants of that great civilisation. They have turned their backs on their cities and their own civilisation and now live in primitive villages. The explorers of the young race believe they can harness the powers of the ancient cities but there is something very very important that they don’t know. Something that changes everything. All five stories display Campbell’s impressive imaginative gifts, his willingness to tackle big stories and his interest not just in science and technology but in the ways that science and technology interact with culture. Campbell played an important role in pushing science fiction in new and ambitious directions and away from the clichés of space opera. 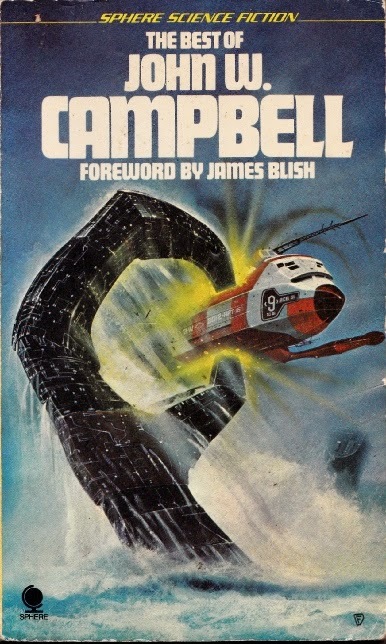 The Best of John W. Campbell was published as a paperback by Sphere in the early 1970s and very cheap used copies can be easily found. Highly recommended. At one point in Jane Austen’s celebrated satire on gothic fiction, Northanger Abbey, one of the characters gives her friend some recommendations for “horrid novels” that she simply must read. At one time it was thought that Austen made up the names of these seven horrid novels but in fact they were real. 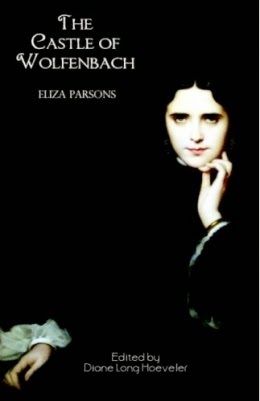 One of them was Eliza Parsons’ 1793 novel The Castle of Wolfenbach, which I’ve just finished reading. Reading this novel it’s easy to see why Austen had so much fun sending up the gothic genre. While I personally love Ann Radcliffe’s novels and Matthew Lewis’s The Monk the sad truth is that the bulk of the gothic fiction written at that time was not in the same league (which of course is true of any genre). And The Castle of Wolfenbach has plenty of elements that just invite satire. There are the preposterous coincidences, the fairly clumsy use of supernatural trappings in what is really a non-supernatural tale, the overheated and highly improbable plot, the sentimentality, the heroines who faint at regular intervals, and worst of all the contrived ending that seeks to wrap everything up much too neatly. And added to that are a couple of ingredients that are present in most gothic fiction but are very much magnified in this one - an outrageous English chauvinism and a very annoying conventional piety. Hardly a page goes by without the reader’s being assured that the hand of Providence will ensure that virtue will be rewarded. Of course these flaws were fairly common in many novels of that period, not just gothic fictions. And despite its flaws The Castle of Wolfenbach is entertaining enough if you can approach it as a kind of 18th century high camp melodrama. It’s an intriguing example of late 18th century trash fiction. At the time of its original publication in 1793 it was a considerable commercial success. Like so much trash fiction (and trash movies) it provides a fascinating window into the prejudices and anxieties of its era. Quite often the less exalted cultural products of an era, being less concerned with universal themes, reveal more about the period in question than does high art. The Castle of Wolfenbach is absolutely overflowing with cultural, religious and class prejudices and anxieties. It’s worth checking out as long as you don’t set your expectations too high. Also worth a look is another of Austen's horrid novels, The Necromancer. 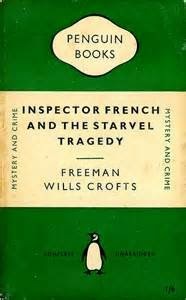 Appearing in 1927, Inspector French and the Starvel Tragedy (also published as The Starvel Hollow Tragedy) was the third Inspector French mystery of Freeman Wills Crofts (1879-1957). Irish-born Crofts is today an author known only to vintage crime enthusiasts but in the interwar years he was one of the big guns of British crime fiction. Crofts was one of the first writers of detective fiction to focus on the work of official police detectives rather than gifted amateurs or semi-professionals who worked in conjunction with the police. He can be considered to be one of the originators of the police procedural sub-genre. Crofts was also regarded as being exceptionally strong in the plotting department. In fact Raymond Chandler’s view was that Crofts was the best plot-constructor of them all. Inspector French and the Starvel Tragedy takes the dogged Inspector Joseph French to Yorkshire, the scene of a particularly horrific crime. Three people were burnt to death when the house owned by old Simon Averill was gutted by fire. This was rather unfortunate for the old man’s niece Ruth Averill since most of her inheritance went up in smoke. Old Simon was a notorious miser who placed no trust in banks and kept most of his fortune in his safe. Slightly less than £2,000 in gold sovereigns survived the fire but more than £30,000 in bank notes was completely destroyed. Initially the fire was regarded as a tragic accident. The first hint that foul play might be involved comes from the manager of the local bank. Simon’s fortune derived from investments, the money being paid into his account at the bank, the bank then paying most of the money to Simon in £20 notes which the old miser then added to his hoard in his safe. As a result the bank retained a record of the numbers of the bank notes and the local branch manager was rather surprised to be informed by his head office that one of the notes presumed to have been burnt to a crisp was passed in London. This odd occurrence is enough to bring Scotland Yard into the case and Inspector French soon uncovers some other disturbing indications that the tragic accident may in fact have been a daring and particularly heinous multiple murder. While French is now very suspicious indeed he has no evidence whatsoever to allow him even to form a theory. Finding the evidence will require infinite patience and a painstaking devotion to methodical police work. Fortunately those are the very qualities on which Inspector French has based his already distinguished career. One of the strengths of the Inspector French novels is that the hero’s investigative methods almost precisely mirror the author’s approach to writing crime novels. There is nothing flamboyant about Inspector French, he is a man with no discernible eccentricities, he places no reliance whatsoever on sudden flashes of inspiration. He simply keeps digging away. When he finds a lead, no matter how unpromising, he follows it through until he either makes a breakthrough or is convinced that the lead is a dead end. He then turns his attention to the next possible lead and repeats the same process. No-one would describe French as a genius, but there is a kind of genius in his thoroughness. The chances that Joseph French will fail to solve a case as a result of overlooking something are very small indeed. Unlike some fictional detectives he generally has no idea of the identity of the criminal until the very end of the book - he usually discovers the solution at the same time the reader does. Crofts unfolds his plots in the same methodical manner, and with the same painstaking skill. This might sound rather dull but just as there is a kind of genius in French’s methods so too is there a kind of genius in the author’s approach. Everything fits together perfectly. His writing style is somewhat austere but it has a simple direct elegance. Crofts was the Hemingway of the English golden age detective novel. Hemingway’s style was deceptively simple but produced very entertaining books when Hemingway wrote them but very dull books in the hands of so many of his imitators. Crofts’ style and his whole approach to writing could easily become dull in the hands of a less skillful practitioner but his own novels are not in the least dull. Part of the secret to his success is that the reader is drawn completely into Inspector French’s struggle to find the solution to the crime. We share his exultation when a lead seems about to produce a result and we share his disappointment whenever a lead runs into a dead end. But like Inspector French, we are never tempted to give up. For all his ordinariness French is a character we cannot help liking. He is a very decent man. He is scrupulously fair. He prefers to charm witnesses into helping him rather than to bully them. He is ambitious but he intends to succeed in his career by getting results rather than through intriguing for favour. He does not believe in taking short cuts. He is happy to put in the necessary hard work because experience has taught him that it pays off. He is methodical but never mechanical. He is certainly not in any sense an emotionless machine. Inspector French and the Starvel Tragedy has all the virtues that made Crofts one of the most successful detective writers in Britain in the years between the wars. Highly recommended. John W. Campbell’s Who Goes There? 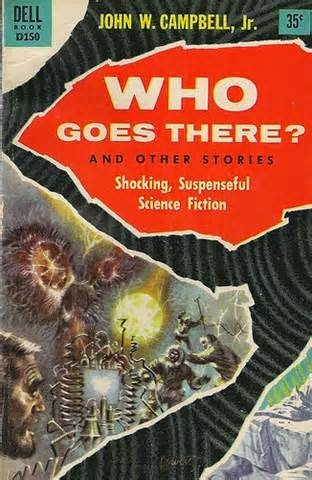 John W. Campbell’s famous science fiction novella Who Goes There? was published in Astounding Science-Fiction in 1938. The 1951 movie adaptation (as The Thing from Another World) and the 1982 adaptation (as The Thing) are even better known. Who Goes There? derives much of its power and its terror from its Antarctic setting. A scientific expedition discovers an alien spaceship, buried in the ice, possibly for millions of years. They rather rashly try to thaw the ice around the ship with a thermite bomb, resulting in the ship’s destruction. They manage to retrieve the body of one of the spacecraft’s crew members. Even in death the alien seems sinister and malevolent. Despite this the scientists do something even more rash than their trick with the thermite bomb. They decide to thaw the alien. Their reasoning is that the body might not survive an attempt to transport it back to the United States so that thawing it now may be the only chance to discover its secrets. And after millions of years in the ice it has to be well and truly dead. There can’t be any real risk. These prove to be famous last words. The alien is far from dead and it has some very frightening abilities. It can imitate other organisms. Imitate them so well that there is no way of telling the imitation from the original. And, much more worrying, they realise too late that it may already have imitate one or more of the members of the expedition. The enemy may be already among them. The scientists make frantic attempts to come up with some kind of test that will identify which of them is now an alien. It is possible that not just one but several of them are now aliens. And if they ever manage to get back to civilisation there will be no way to stop the alien from infecting the whole human race. They are faced with a stark reality. Either they find a way to identify and destroy the aliens among them or they must ensure that none of them ever leaves the Antarctic. It’s a set-up that provides the ultimate in both fear and paranoia and Campbell exploits its potential for terror with consummate skill. No-one can be trusted and no-one can expect any of the others to trust him. In this situation even if you know you’re not an alien you can’t expect anyone else to believe you and if they were foolish enough to do so they would be risking the safety of the entire human species. Paranoia becomes a positive virtue. This story well and truly deserves its status as a classic of the genre, combining clever ideas, taut story-telling and extreme terror. Highly recommended. The 1951 movie version has its virtues but fails to capture the essence of the original story. The 1982 version directed by John Carpenter is much more successful. 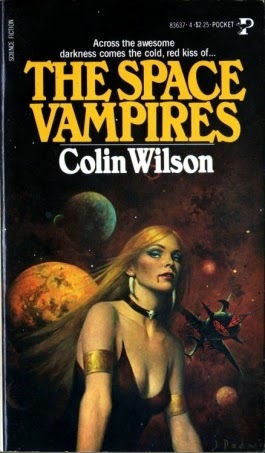 Colin Wilson’s 1976 novel The Space Vampires is a bizarre oddity that defies easy categorisation into any particular genre. At first it seems like science fiction, but it soon shows signs of becoming a horror novel, and them it starts to movie into the areas that have always fascinated WIlson - the world of the occult, and of violent psycho-sexual crime. In the late 21st century an enormous space craft is located, a spacecraft so big that it is difficult to understand how it could possibly have found its way into Earth’s solar system without being detected earlier. Commander Olof Carlsen and the crew of the Earth spaceship Hermes investigate. The interior of the alien craft is strange and disturbing, but even more unsettling is the discovery of a large number of apparently dead humanoid creatures. They look very human indeed. Carlsen is instructed to bring three of the corpses back to Earth. But these creatures are not dead after all. And they’re vampires. Not blood-sucking vampires, but energy vampires. They drain the life-force from other creatures. Carlsen makes contact with a number of researchers on the fringe of respectable science, researchers with an interest in vampirism. He learns that vampirism of a sort is common in the animal world, and among humans. But these space vampires are much more dangerous than any Earth-bound vampires, and are able to shift from one body to another. The book attempts to explain vampirism as a natural rather than supernatural phenomenon, something that can be investigated scientifically. But Colin Wilson’s idea of science isn’t exactly conventional. It’s the sort of science that Mulder from The X-Files would dismiss as being way too flakey. It’s occultism with a scientific veneer. Wilson also uses vampirism as a kind of explanation for violent psycho-sexual crime, perhaps not surprising given that one of his early bestsellers (Ritual in the Dark) was a novel based on Jack the Ripper and given his keen interest in the occult. The result is an odd blend of interesting ideas that never quite comes together in a wholly convincing way. But it’s strange enough to be worth a look if you have a taste for the offbeat. The energy vampire idea has subsequently been dealt with in quite a few novel, notably in Simmons’ unbelievably tedious Carrion Comfort. While The Space Vampires is not exactly a conventionally well-written novel it’s a literary masterpiece in comparison with Simmons’ effort. 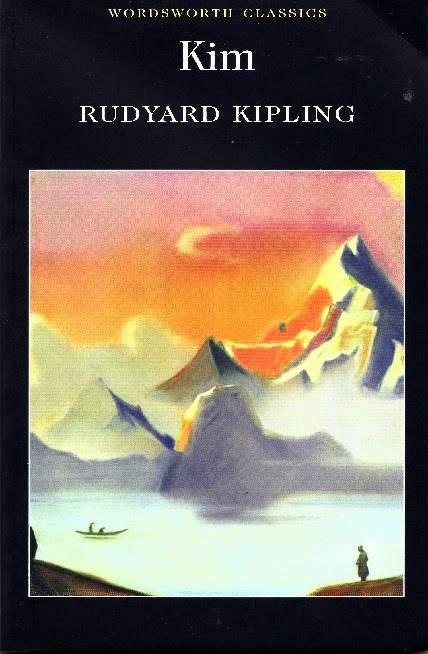 Published in 1901, Kim is generally regarded as Kipling’s masterpiece and the novel was undoubtedly instrumental in gaining its author the Nobel Prize for Literature in 1907. Rudyard Kipling (1865-1936) remains a controversial figure but even decades of political correctness have failed to put a serious dent in his literary reputation. Despite his stature as the pre-eminent imperialist writer he remains immensely popular in India. Kim can be read as a tale of adventure but it is in fact a complex multi-layered novel. Kipling was a complex man and this is an ambitious novel. The background to the novel is the Great Game, the struggle or power and influence in central Asia between the British and the Russians. While the British were obsessed by the supposed threat to India the Russians were probably more interested in Persia. the problem was that both powers saw control of Afghanistan as crucial. The struggle was conducted through a mixture of espionage, bluff and attempts to gain influence over the various native rulers. Kim is caught between two worlds, in more ways than one. The son of an Irish soldier, he grew up on the streets of Lahore believing himself to be Indian. He not only thinks in Hindustani, he dreams in that language. When he discovers the true circumstances of his birth he adapts to being white without in any way rejecting his sense of being Indian. He is capable of thinking of himself as being wholly white and wholly Indian. He is also caught between the worlds of the flesh and the spirit. He becomes an adept at the Great Game, playing the game of political intrigue and espionage with great skill. At the same time he is a devoted disciple of his lama and is drawn to the pursuit of spiritual perfection and rejection of the world. It is no accident that Kipling chooses to make his hero an espionage agent. It is a useful metaphor. A spy is after all someone with a dual existence, a dual personality. The India of the Raj was itself caught between two worlds. Almost everything in this novel is concerned with themes of duality. Even Kim’s lama displays this quality. He seeks to reject the world but is drawn back to it by his affection for Kim. Kipling sees no particular need to resolve these oppositions. The world of action is as valid as the world of the spirit. The novel can be seen as a tale of adventure, a coming-of-age story, a spiritual quest and a very affectionate portrait of India. Kipling was born in India and his love for the country was sincere and passionate. Anyone expecting that a novel by such a renowned enthusiast for imperialism can be dismissed as racist will be sorely perplexed by Kim. Kipling’s view of imperialism was much too complex and subtle to be dismissed so glibly. The hero remains, throughout his adventures, as much Indian as British. Kipling of course saw no conflict between the two. Kipling’s answer to the various opposing dichotomies facing his characters seems to be to embrace such oppositions rather than to try to resolve them. Most of the non-white characters in the novel see no particular conflict of identity. The Afghan Moslem Mahbub Ali and the Bengali Hurree Babu serve the British with courage and enthusiasm, not because they are traitors to the own nations but because they believe they are serving the interests of both their own people and the British. Of course the possibility that Indians may have been strong supporters of British rule and may have been prepared to give their lives for it will not please modern readers brought up to believe in the Cult of Gandhi. Kipling was not just a highly skilled but also an innovative and daring story-teller. Kim is a fascinatingly complex novel. Highly recommended. Cecil Day Lewis was one of Britain’s leading 20th century poets, his career culminating in his appointment as Poet Laureate. He was also a prolific and exceptionally interesting author of detective novels, under the pseudonym Nicholas Blake. As a crime writer he is best known for the books featuring amateur sleuth Nigel Strangeways. As you’d expect they have a somewhat literary bent but what really makes Nicholas Blake’s books stand out is the element of moral ambiguity that he is almost always able to include. This makes Blake slightly unusual among golden age English detective story writers. A Tangled Web is not one of the Nigel Strangeways novels and it’s a particularly unconventional crime story. Published in 1956, in many ways it’s more akin to the crime novels of Graham Greene than to the mainstream of British crime fiction with moral problems and character flaws being more important than the plot. 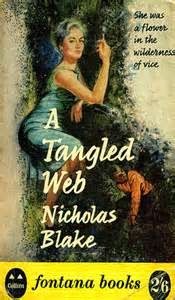 Although in fact A Tangled Web has a clever plot and can certainly be enjoyed simply as crime fiction. A young girl named Daisy loses her job as a result of a chance encounter with a mysterious and very attractive young man. She may have lost her job but she doesn’t mind at all since she has fallen instantly in love. And Hugo reciprocates her feelings. Hugo cares nothing for the rules of society. How he makes his living is a mystery at first to Daisy but it soon transpires that he is a cat burglar. Hugo is mostly kind and attentive and introduces Daisy to an excitingly different way of life, but he is troubled by bad dreams and he has a very short temper. This proves to be an especially unfortunate attribute when a police inspector is shot dead during a bungled burglary. Hugo falls under suspicion and is arrested, and faces the very real possibility of ending his criminal career at the end of a hangman’s rope. But is he really a killer? Or simply the victim of the tendency of the police to jump to conclusions when faced with an obvious suspect? A Tangled Web features a particularly chilling villain, and this villain plays an unexpected role. Most of all though it is an intensely moving story of loyalty and betrayal. If you have a taste for slightly off-beat crime fiction this one is well worth seeking out. It was republished in the Pan Classic Crime series a few years back and is reasonably easy to find. And anything by Nicholas Blake is worth reading. Dornford Yates (1885-1960) was one of the thriller writers singled out by Alan Bennett as belonging to the English Snobbery with Violence school. That in itself is enough to recommend his work as far as I’m concerned. Yates (whose real name was Cecil William Mercer) was actually an odd recruit to the thriller genre - he’d made his reputation as the writer of the celebrated Berry humorous stories. His popularity as a comic writer rivalled that of P. G. Wodehouse. In 1927 Yates suddenly changed style dramatically with the first of his eight very successful Richard Chandos thrillers, Blind Corner, although he continued to write his humorous stories. One of the curious things about Yates’ fiction is that despite the sharp differences in style there’s a considerable overlap between his comic stories and his thrillers. Jonah Mansell is a major character in both the Berry stories and the thrillers, other characters from the Berry stories pop up from time to time in the thrillers and one of the heroes of his thrillers is married to a member of the Berry circle. The Richard Chandos thrillers can be read as standalone novels although in my opinion it’s highly advisable to read Blind Corner before attempting the later books. Blind Corner introduces the heroes who will figure in the later adventures and provides some fairly essential backstory information on them. Blood Royal was the third of the Chandos books. Like most of the others it’s set in Austria, or in this case in a mythical principality bordering Austria. Blood Royal was published in 1929 but in many ways it seems to belong to an earlier era and in fact it has some of the flavour of Anthony Hope’s Ruritanian thrillers such as his 1894 bestseller The Prisoner of Zenda. Yates’ principality of Riechtenburg seems a bit like Hope’s Ruritania suddenly transported to the late 1920s. The book deals with the disputed succession to the principality. Given the cataclysmic changes to the European scene that had occurred in the previous decade and the even more cataclysmic changes that would soon follow this makes the book seem a little dated. It is a little dated, but not in a bad way. In fact it’s fair to surmise that his slightly anachronistic feel was quite deliberate, that Yates was consciously looking back to an an earlier and more civilised era of benevolent princes, a world that was being swept away by unscrupulous politicians. Yates was certainly no fan of politicians. Given that within a few years of the publication of this novel Austria itself would be absorbed in to the Third Reich one cannot entirely blame him. Richard Chandos and his friend George Hanbury are now, as a result of events chronicled in the earlier Chandos books, men of wealth and leisure. They are drawn back to Austria by ties of sentiment, having conceived a great fondness for the country in the course of their earlier adventures. So fond are they of Austria that they have been spending a good deal of time learning to speak German, an accomplishment that will prove to be crucially important in this new adventure. 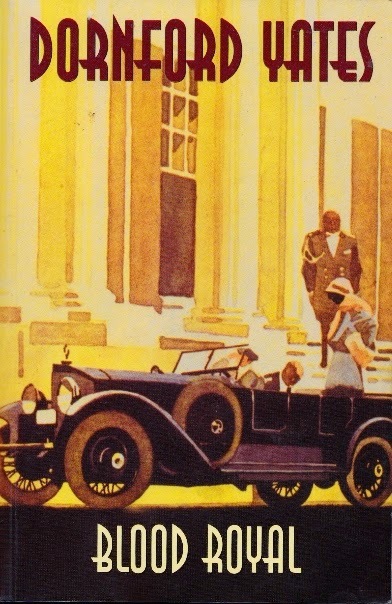 Caught in a rainstorm in their Rolls-Royce (a Yates hero always drives a Rolls-Royce) they have a fateful encounter with Duke Paul of Riechtenburg, heir to the throne of that principality. Duke Paul was in the process of being kidnapped by the sinister Major Grieg of the Riechtenburg Black Hussars. Chandos and Hanbury have stumbled upon a conspiracy to instal Paul’s cousin as Prince, the reigning prince having suffered what had been assumed to be a fatal stroke. This might be none of their affair but no Englishman is going to stand by and watch someone being kidnapped. The conspiracy proves to be rather bewildering complex, everything hingeing on if and when the reigning prince succumbs to his illness. Soon afterwards Chandos and Hanbury encounter the beautiful and high-spirited Grand Duchess Leonie, an encounter that will be very fateful indeed for Chandos. If an Englishman cannot stand by when a kidnapping is in progress even less can he stand aloof when a lady is in distress. Chandos and Hanbury are now caught up in a deadly game for high stakes, but such adventures are just the sort of pastimes they enjoy. In his book Clubland Heroes Richard Usborne decribes Yates’ style (in his thrillers) as being rather biblical, and he has a point. It’s a style that works surprisingly well, lending the far-fetched but enjoyable tale an air of gravitas. There’s less action in Blood Royal than in the previous Chandos books but there’s also more suspense. A race against time is a time-honoured technique for creating excitement and Yates handles this element with great skill. His heroes know that time is against them but they can never be sure just how much time they have. A thriller needs a villain and Major Grieg and Duke Johann (who is trying to usurp the throne from the rightful heir) serve this purpose well enough. More interesting than the actual villains is Duke Paul. He is undeniably the rightful heir but he is weak, vacillating, self-indulgent, selfish and treacherous. He is the man whose throne the heroes are trying to save but he is a man for whom they have nothing but contempt. The struggle to ensure his succession is very much a matter of choosing the lesser of two evils. Duke Paul is a fool and a coward but he will have wise counsellors and his weakness will prove to be his greatest asset. He will rule well because he lacks the will to do active evil. Duke Johann is much more intelligent and far more competent but that’s what makes him dangerous - he does have the will to do active evil. This gives the book a complexity and a degree of political subtlety, and ambiguity, that is quite unexpected in a thriller of this period. Yates was a man with a considerable mistrust of the modern world. He could even be described as a reactionary. But he is an intelligent and thoughtful reactionary. The romantic subplot is equally complex. Chandos has fallen hard for the Grand Duchess and she obviously reciprocates his affections but if they succeed in their endeavours the result will be to doom their love. Yates was certainly a man who knew how to spin an exciting yarn and how to leaven it skillfully with romance. Blood Royal is a stylish and accomplished thriller by a writer at the top of his game. Highly recommended.